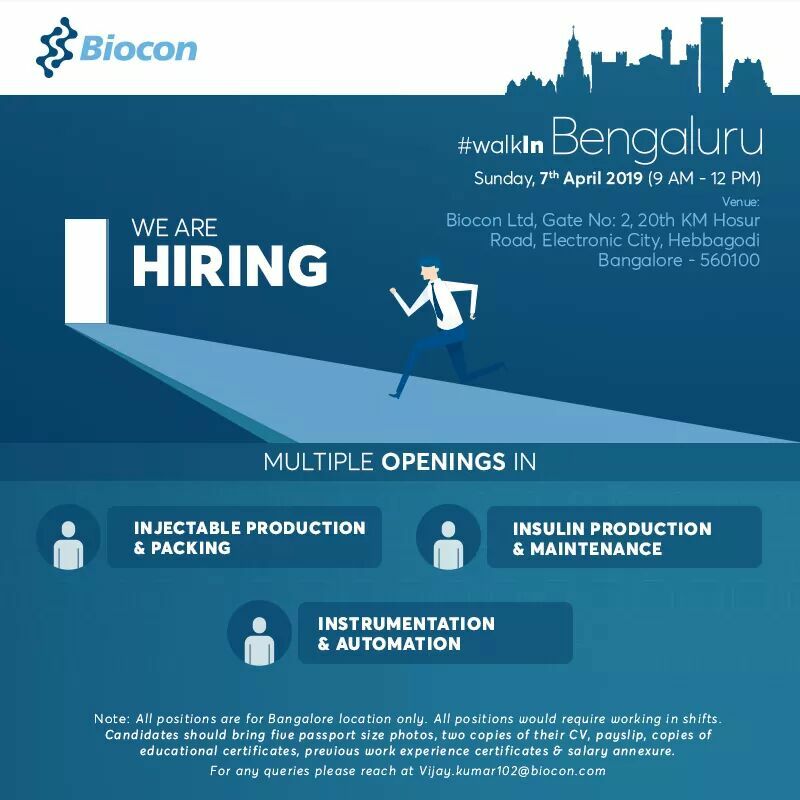 Walk-In at Bengaluru, Sunday, April 7 2019 (9AM – 1PM), Venue: Biocon Campus 20th Km, Electronic City, Bangalore – 5600100. 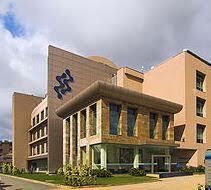 Position: Executive / Sr. Executive Dept: Fill Finish/Injectables Production. Candidate should be B. Sc. / B. Pharm / M. Sc with 3-7 years of experience in Injectables Production – small volume parenteral (vial & PFS – Dispensing, sterile and non-sterile area) and should have regulatory audits exposure. Should have hands-on experience in Injectables operations like Compounding, formulation, Autoclave, Filling, Sealing and Lyophylizer. Engineering & Maintenance B.E /B. Tech (Mech,/Electrical) with 3-6 years of experience in maintenance of Process & utility equipment. Should have experience in trouble shooting related to Freeze drier, High pressure column, Centrifuge, Separator, Freezer, HVAC, Chiller, Cooling tower, WFI, PSG & Nitrogen plant. Should have handled Audits and Online updation of all documents as per FDA compliance & QMS activities. *Pharma Industrial experience mandatory.